With Christmas just around the corner, we thought we’d offer a little reminder of what festive items and foods could affect your animals – and avoid an emergency trip to surgery! 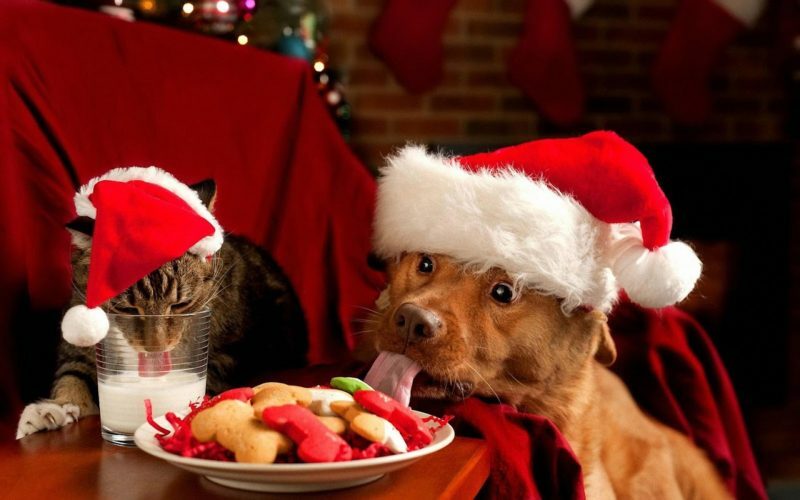 The festive period can present a minefield of potential issues for pets as homes are decorated and a range of food and drink is often accessible. Among the items which present risks to pets at Christmas are ribbons on presents, tinsel, sharp tree needles, low-lying fairy lights, chestnuts and chocolates. Drink, too, can be dangerous and a perennial Christmas favourite, Baileys Irish Cream, can prove particularly dispiriting for animals. Kevin Wood, clinical director at Cherrydown Vets, which has branches in Basildon, Wickford and Standford-Le-Hope, said: “Dogs will drink most forms of alcohol which has been left in glasses at Christmas parties or get-togethers, however, they do often seem to have a fondness for Baileys! Other festive items which could cause harm to animals include plants such as mistletoe, poinsettia, holly and ivy which can all cause upset stomachs, while lilies can be very harmful to cats. Grapes, raisins, currants and sultanas can cause kidney failure in dogs, while other poisonous festive foods include macadamia nuts, onions and mouldy foods such as walnuts, bread and cheese. Kevin said: “Christmas can often be a busy and quite chaotic time. You can help your pet cope with the chaos by keeping to their normal routine and if you are spending Christmas day with friend or family and your dog is going with you, take something which smells familiar to help them feel secure. Next PostNext Love our service? Tell your friends!